A growing international energy investment company, Continental Energy Corporation (OTCQB:CPPXF), has announced that the appointment of its Tanzanian affiliate, Ruaha River Power Company Ltd. to manage a USD 95,000 grant from the Tanzania Rural Energy Agency (REA) to conduct a site specific technical and environmental study for a two megawatt hybrid renewable energy generation and distribution network. The proposed REA Mini-Grid will be built near the existing Malolo Mini-Grid, a hybrid biomass-diesel-solar power project, and will include a combination of hydropower, solar photovoltaic, and biomass gasifier technologies. According to the President and CEO of the Continental Energy Corporation, Richard McAdoo, the grant represents a critical milestone for the Company as it moves from a traditional energy explorer into the field of renewable and alternative energy development. “We have a rapidly building set of renewable energy development projects in the pipeline both in East Africa and SE Asia and look forward to substantial forward progress in 2015,” he said. 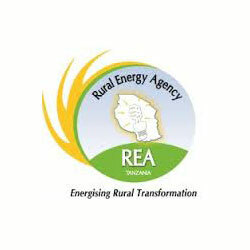 The REA was established to help further promote and facilitate increased access to electricity rural parts of the country, which accounts for 85% of the national demand, but where less than 15% of the population has access to national grid electricity services. The REA administers the Tanzania Energy Development and Access Project (TEDAP) program which offers a number of grants, incentives, and financial support to be applied to the development of renewable energy to better serve these markets.